Having quality accessories allow you to have a seamless and enjoyable wine experience. 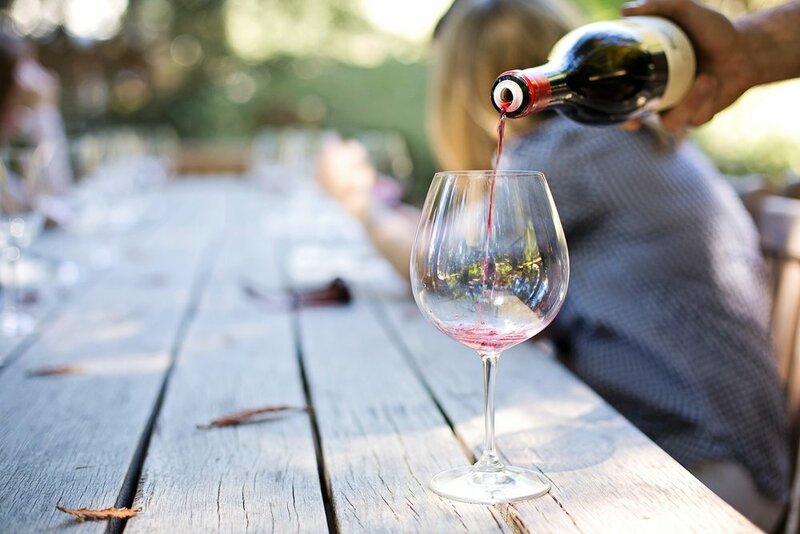 Starting with the most important - here are the five wine accessories you should have & a recommendation on how to buy the best. Hands down the most important wine accessory is your corkscrew. You don't want to be fumbling around with the Shoe Method to open up your wine bottle. There are multiple types of corkscrews from complex to simple. The best are a "Swiss Army Knife" for opening a bottle. The best corkscrews include: a 1) Foil cutter to cleanly cut the top and a 2) Corkscrew with double hinged lever to easily pull the cork. We recommend using a Waiter's Friend style for portability and ease of use. Now that you got the bottle open - its time to find something to pour it in. ...For more civilized drinking - you should have a set of glassware preferably with stems. Wine glasses are important for overall enjoyment. Make sure to the glasses you purchase are within your price range and prepare to possibly lose one or two over the years. You can buy wine specific glasses for each type of wine. However - if you are on a budget we recommend sticking to larger wine glasses with a stem such as a "Bordeaux" glass (typically used with heavy red). Plus for special occasions that call for bubbly having skinny "Flutes" for use with champagne (sparkling wine). You can find really nice crystal wine glasses or stick with more affordable glasses. The benefits of crystal are more durability even with thinner and shinier. If you are a heavy drinker it just might be worth paying up to double for nice crystal wine glasses. So you've poured yourself that wine. ... and now you want to save the leftovers to enjoy tomorrow or later this week. Now is where a quality wine preserver comes in. Luckily - we created the best way to save wine. But you already know that. The next most important accessory is a wine stopper. While you can re-use the cork that comes with the bottle, it often doesn't survive being pulled out of the bottle. Having one or two spare wine stoppers help. We recycle natural cork in our wine stopper for a sustainable option. For those who want to get to business quickly - an aerator can help speed the process. Aerators, unlike decanter's, mix the wine with the air as you pour. This can be more convenient when drinking wine by the glass. Store unopened bottles of wine at the exact serving temperature, on their side, typically will good humidity control. Expensive but can be highly useful for committed wine enthusiasts. Similar to an aerator, but you will pour a full bottle of wine to bring out the Aromas. Reusable wine specific bags can be useful so you can bring bottles home from the store or to a party with ease. They often also have padding in to protect the glass bottles in case there is a bit of jarring along the way.